ABC7 Eyewitness News Anchor Cheryl Burton spoke with Jackson at his home in Washington, D.C., on Monday. 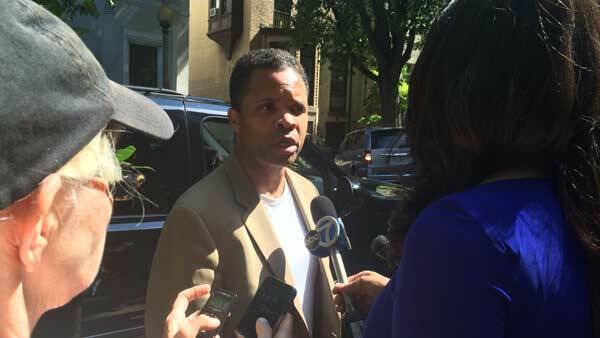 WASHINGTON (WLS) -- Jesse Jackson Jr. left a halfway house in Baltimore, Maryland, and began home confinement Monday morning. The former congressman walked out wearing a beige jacket and white shirt. He has been at the halfway house for the last three months, after spending 17 months in federal prison in North Carolina and Alabama. Jackson, 50, was convicted in 2013 of spending $750,000 in campaign money on luxury items for himself and his family. He now wears an electronic monitoring device on his ankle and will spend the last three months of his sentence under house arrest. "This is the midpoint in an extraordinary journey for my family. My body is slowly being released from the Bureau of Prisons," Jackson said. ABC7's Cheryl Burton spoke with Jesse Jackson Jr. inside his home in Washington, D.C., after he was released from a halfway house in Baltimore. 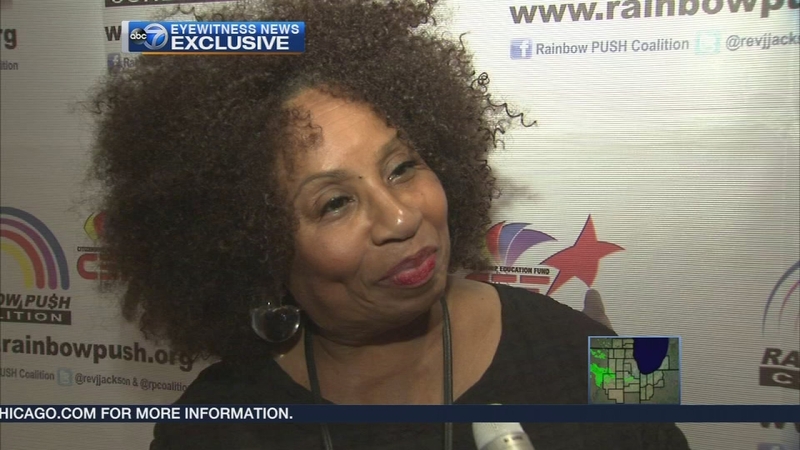 ABC7 Eyewitness News Anchor Cheryl Burton spoke with Jackson at his home in Washington, D.C., on Monday. He reflected on how different his life has been since he began serving time. "There's a silence. There are no cell phones. There's no constant scheduling and people calling and moving from point A to point B. There's nowhere to go. There's routine. The things that suddenly seemed important to you before you lost your freedom are suddenly unimportant," Jackson said. He also showed her 40 legal pads of writings that he plans to turn into a book. He says there was no special treatment in the prison and described the daily chores, which included cleaning toilets and kitchens. Jackson said he used the time to reflect on what he called his mistakes, but adds he is hopeful for a second chance. He showed several paintings made by his cellmates that he said were symbolic of his journey, calling them "shame", "blame" and "guilt". "For most of my life I've had the wind at my back, I've had a tail wind, I've never really confronted headwinds. This journey has been a headwind experience for me," Jackson Jr. said. "There's no excuse for poor behavior, however, I've experienced some things on this journey that I'll write about and decided the rest of my life to." Jesse Jackson Jr.'s mother says she now identifies with millions of other parents whose convicted sons and daughters are trying reenter society. Jackson will remain under the supervision of the Bureau of Prisons while on home confinement and will be subject to spot checks. He will be required to have some kind of job and any movement outside of his home will have to be pre-approved. Jackson's wife, former Chicago Alderman Sandi Jackson, pleaded guilty to filing a false federal income tax return. She will begin serving her 12-month sentence on Oct. 30. The judge staggered the couple's terms so one parent could care for their children, now 15 and 11, while the other was in prison.